PAHALA, Hawaii – Three years after it officially began broadcasting in Ka’u, KAHU 91.7 FM has officially turned the radio station over to Hawaii Public Radio of Honolulu. On August 5th, KAHU – the only Native Hawaiian owned and operated community radio station – filed a Transfer of Ownership with the Federal Communications Commission after a 30-day waiting period. 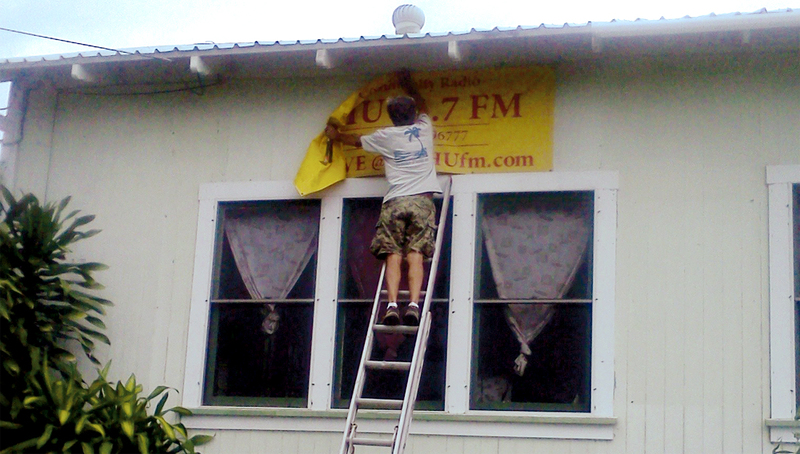 HPR purchased the call letters and license for KAHU 91.7 FM, reportedly paying $20,000 on closing. The FCC approved the transfer on August 6th. 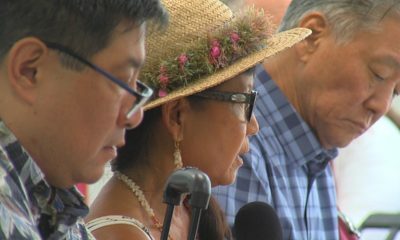 In what is likely to be the final media release from Ka’u Community Radio Inc., it was reported that Christine Kaehuaea, President and Director of Kau Community Radio Inc. flew to Honolulu on August 12th to formally meet with HPR president and general manager Michael Titterton to officially “hand over the baton”. Christine is the daughter of Wendell Kaehuaea, who founded the station. Although Wendell was active in the daily operation of the station early on, he distanced himself towards the end. Wendell was at the forefront of an aggressive expansion that enlarged the station’s broadcast range from just Pahala to almost all of Ka’u. But at the end of last year, the station began to downsize. On December 12, 2012 KAHU dismantled its last existing tower site in Naalehu. The transfer means local programming at the station will probably cease for now. Mike Titterton, CEO of Hawaii Public Radio, told Julia Neal of the Ka’U Calendar that local programming is a hopeful part of HPR’s long term plans – maybe in 5 to 10 years. Much of the equipment purchased with local donations, grants, loans and Civil Defense funding has been sold, and KAHU went dark months ago, leaving Pahala and surrounding areas – as far as the radio signal reached – without Civil Defense and local origination programming. 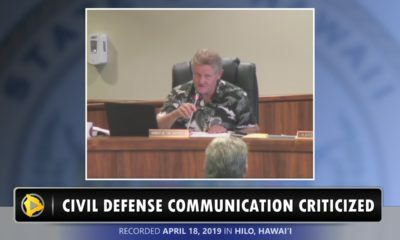 The state Civil Defense office provided more than $70,000 to help the station reach more of Ka`u, but equipment was taken off the communications tower near the cane road between Pahala and Na`alehu when radio station management was unable to pay the monthly bill. Hawaiian Electric Co. followed up by turning off the electricity. 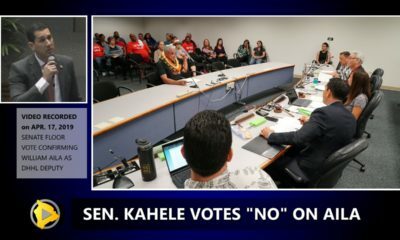 Kaehuaea made numerous appeals for more funding but said she faced more than $80,000 in debt. 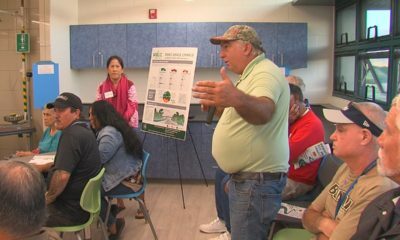 Many are local small businesses waiting to be paid through the $20,000 of income from selling the Ka`u Community Radio license. KAHU 91.7 FM’s official on-air date was June 28, 2010. It was welcomed into the community with much fanfare. 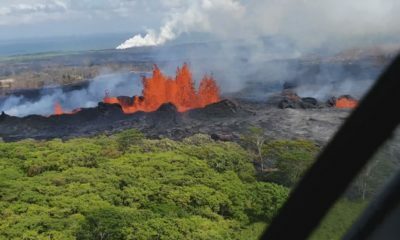 Until KAHU came along, the radio dial was silent – from the Ka’u dessert on the west side of Hawaii Volcanoes National Park all the way around the southern end of the Big Island into South Kona. For that reason, the station served an important role in emergency situations. 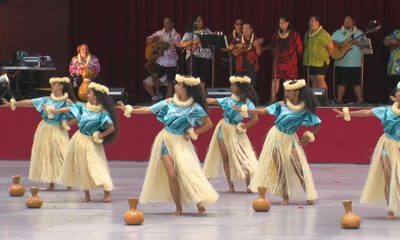 They kept the community informed during the March 2011 earthquake that sent a tsunami crashing into Japan and caused damage in Kona, as well as the October 2012 tsunami scare following a quake off British Columbia. The station was the recipient of grant money from Civil Defense, with the intention that it would expand the state’s alert capabilities in the remote region. $76,000 was awarded to the station in 2011. The station’s emergency alert services were put to the test in July 2012, when a 5,600 acre brush fire threatened Pahala. According to the media release, the station was the first media on-scene with police and fire to acquire reports about the fire, road closures, detours and evacuations and relay that information to a live announcer in their studio providing instant status to listeners. So what led to the demise of the community radio operation? Christine Kaehuaea has often stated in prior media releases that the station never found the support it needed from the local business community. In the most recent media release, it was explained how the community radio concept is a challenge to sustain. As part of the National Federation of Community Broadcasters Association, Kau Community Radio Inc. was added to the list of other community radio stations across the country that suffered the same economic fate or were currently heading down the path. With Community Radio being forbidden by the FCC to sell products and services on-air, otherwise termed, “advertising”, the ability to earn a monthly income was not possible; any station caught in this practice had the potential to receive a fine of up to $25,000.00 and/or their license revoked, thus Community Radio had only three methods for funding: 1) donations, 2) corporate or business sponsorships and 3) grants, which entailed an application process, a fee of $800.00, letters of reference, financial statements and approval to obtain the IRS 501(c)3 tax-exempt status which was not guaranteed. Simply, a station had to be self-sustaining out of the gate, have a secure business foundation and be able to pay its monthly bills especially if located in a very rural area. As each station closes, new discussions open in the arena of community radio limitations while that same group finds alternatives to protect and serve their communities.